Paul Epstein, ND is a graduate of the National College of Natural Medicine (NCNM), specializing in mind-body integrative medicine and mindful healing. He maintains a thriving private practice in Westport, CT; travels extensively, lecturing, leading workshops and retreats worldwide; and offers imagery and mindfulness healing seminars. Dr. Epstein offers professional training and mentoring for health professionals to support, train and mentor those wanting to integrate mind-body medicine in their therapeutic work. As a practitioner and teacher of Mind-Body Integrative medicine, a cornerstone of my approach is that I recognize the importance of both biology and one’s biography in health challenges. I advocate the treatment of not only the ‘cells’ of the body, but of the ‘self’ in the healing process. I integrate many modalities and disciplines, including Naturopathic Medicine, into my treatment philosophy and ultimately, I seek to empower patients to access and mobilize their own unique set of inner resources for self-healing. As a doctor, I consider it my job to serve as a guide for people on their healing paths. Beyond treating any specific condition, one of my most typical types of patients is someone who has ‘seen everyone and tried everything’ and yet still has not found sustainable relief from whatever their challenge is. It’s not that any of the previous attempts, therapies or doctors were wrong, in fact they may have provided an important piece of the solution; it’s just that something is missing. I can help people find the missing essential ingredient for their healing. People often come to me when they have exhausted all their options and are feeling that all hope is gone. When people come to that place in their quest for curing, they are ready for healing, and I have the skill, knowledge and experience to help guide them to both. What is Mind-Body Integrative Medicine? Dis-ease tells a story not just of our cells but of ourselves and our life histories. Mind-body Integrative Medicine involves approaching our illnesses and pains with a comprehensive, total person-centered approach. In Mind-Body Integrative Medicine, we listen to the symptoms and to the story behind them as our guide to treat the cell and the self. We work to cure the biology as we simultaneously heal the biography. Only when both the cell and the self are tended to, can we find authentic, deep healing. Under the care and guidance of a skilled practitioner of Mind-Body Integrative Medicine a patient can come to understand their unique story and how it has brought them to this place in their lives and health. The role of a Mind-Body Integrative Physician is to bring together all the best therapies and treatments, from a variety of disciplines, to help each individual patient on their path of healing. As the patient gains understanding and compassion for their history and their current physical challenges they naturally invoke their inner healer and are able to unburden themselves: body, mind and spirit from the wounds of the past. This is the path to true healing. This is the power of Mind-Body Integrative Medicine. 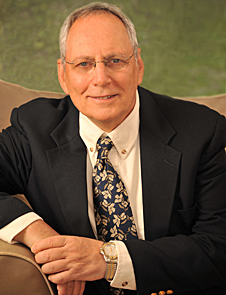 As a prolific author, Dr. Epstein has made available a number of key articles that explain his philosophy and process.